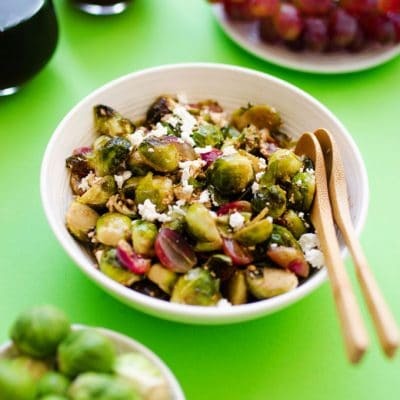 These roasted Brussels sprouts with balsamic and garlic are tossed together with grapes and feta cheese, making each bite an explosion of flavor! If I find Brussels sprouts buried in my fridge come dinner time, there’s a pretty big possibility that I’m going to roast them with grapes. And if I roast those together, the possibility is even greater that I’ll toss it all up with some balsamic and honey. And if feta cheese happens to have graced my cheese drawer? Well that’s just the perfect side dish, friends. In case you can’t tell, my dinner cooking routine doesn’t usually resemble much of a plan. Something about developing and shooting recipes all day just does that to ya. 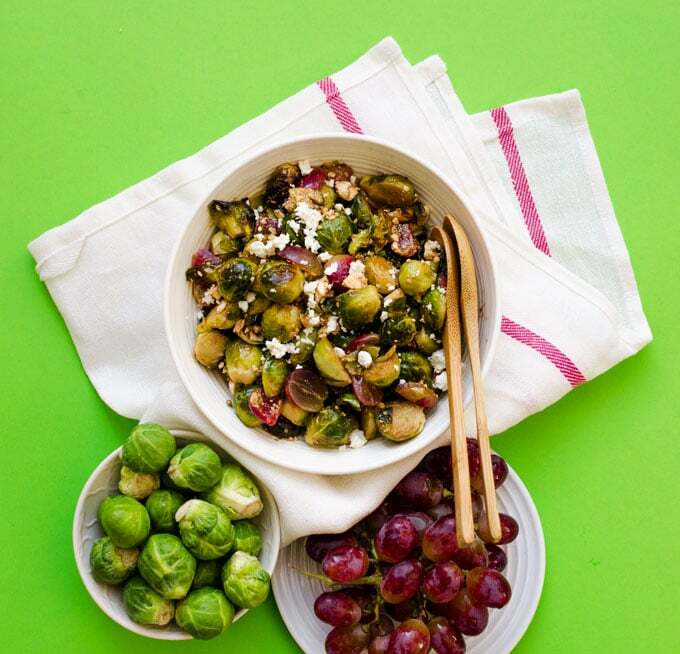 But when it comes to the killer flavor combo that is sprouts + grapes + balsamic + feta, no plan is needed. It just works. 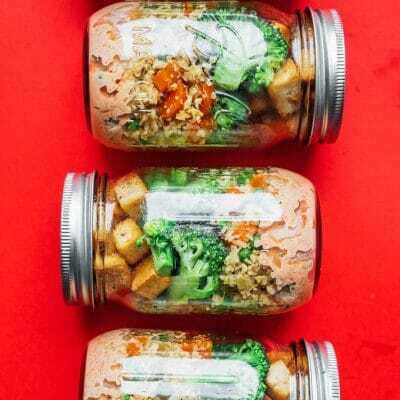 This roasted Brussels sprouts recipe is flavorful enough to serve up at Thanksgiving, but easy enough for everyday kind of cooking. Let’s eat! 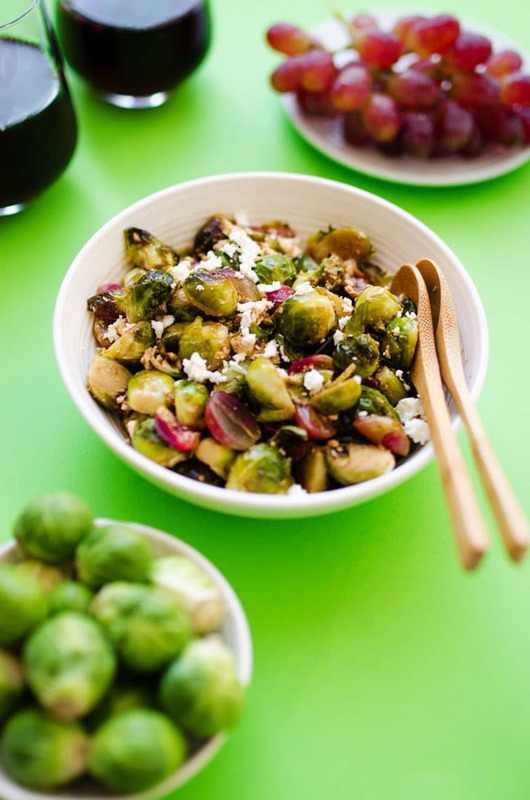 These roasted Brussels sprouts with balsamic and garlic are tossed together with grapes and feta cheese and become such a flavorful side dish! Prep: Preheat oven to 375 degrees F (190 C). Trim the tough stem from sprouts and remove outer leaves. 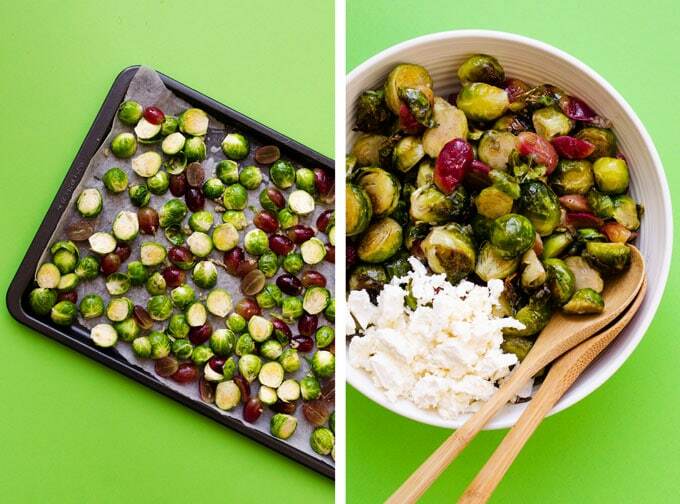 Cut sprouts and grapes in half. 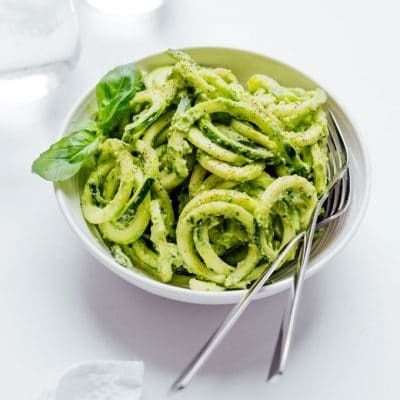 Toss with oil, garlic, and salt, and spread onto a parchment paper-lined baking sheet. 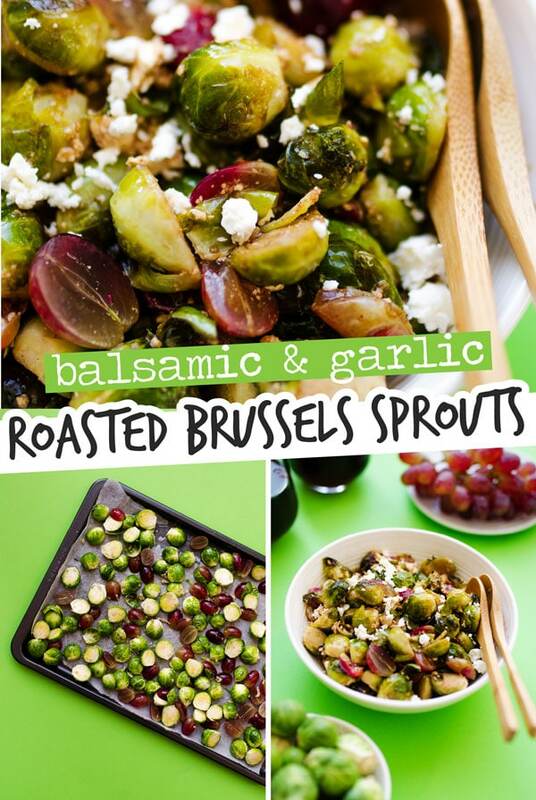 Cook: Roast sprouts and grapes for 20 to 25 minutes, or until sprouts are tender and edges are golden. 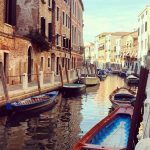 While they cook, whisk together balsamic and honey. 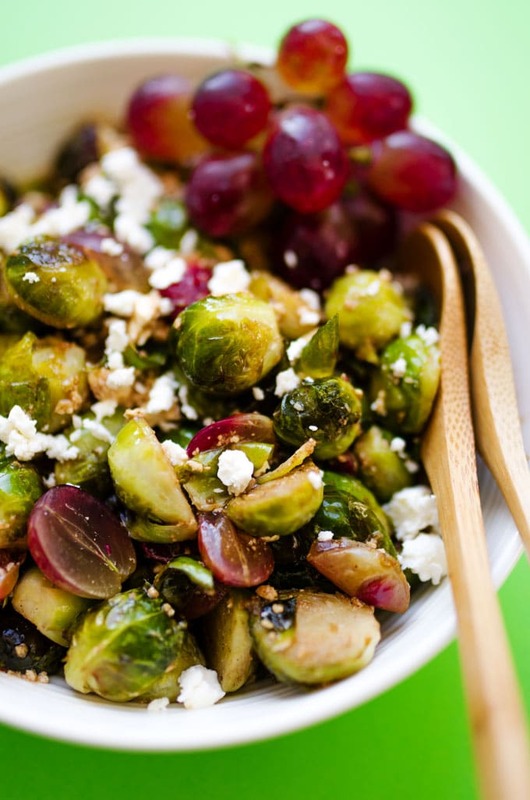 Serve: Toss cooked sprouts and grapes with balsamic mixture and feta. Serve warm. Thanks so much for dropping by Live Eat Learn and for making easy recipes like this Roasted Brussels Sprouts with Balsamic and Garlic possible! Be sure to snap a photo and tag #liveeatlearn on Instagram if you try it out.